The unit is having AC induction motor with gear box to drive sigma blade and another motor for tilting the unit to take out the dough. The unit is having DOL starter for both the motor. - Two mixing blades placed in a ‘w’ shaped horizontal trough. 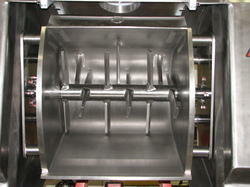 Leveraging on our extensive market knowledge, we are providing a high quality range of Biscuit Dough Mixer. Motor Power: 1 HP,2 HP. 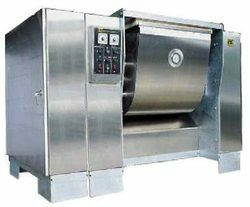 To cater the variegated needs of our esteemed customers, we are highly engaged in offering a wide array of Biscuit Dough Mixer.